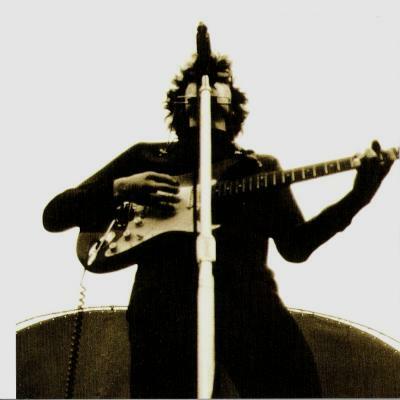 Here are two essential shows from the incredible 1966 world tour. They have been released several times in the past, but not together in one 2 disc set. The back cover states that they are sound board recordings. While they are indeed direct line recordings, 1966 technology differed from that of today's. The recording process and the shows themselves have been written about in other disc reviews. Use all of the links at right to read the full story. 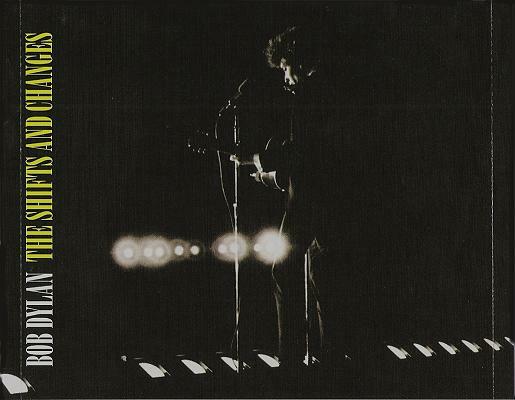 Dylan's audiences at the two venues are behind the times and don't even realize that the times they are a changin'. 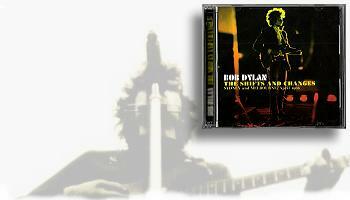 A month later Blonde On Blonde would hit the streets, and the world would catch on. 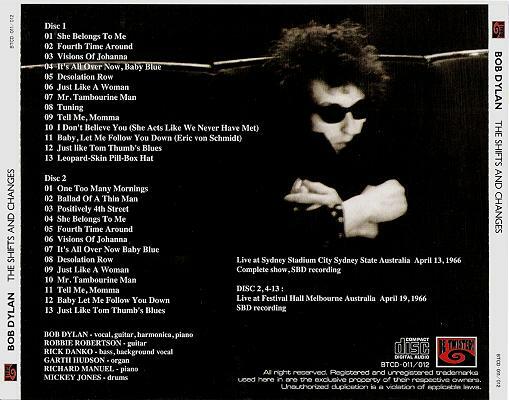 Bob tries to usher it in with a few (as of yet) unknown songs, and the audience response is mixed. 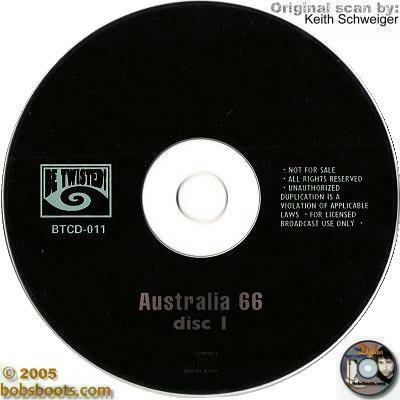 These discs are a digital transfer of earlier boot releases, and the quality is similar. The package aesthetics are very nicely done, and give the set the classy look that it deserves. 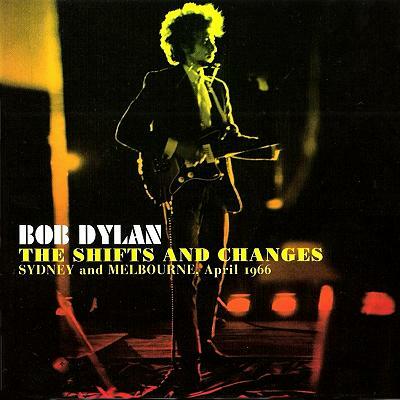 The title refers to not only the mechanics and setlist changes of the two shows, but the shift from acoustic to electric... and most importantly... the shifts and changes that are molding a folk music champion into a rock icon.